"I have known Brent and his family for over thirty years and have always had the highest respect for him as a friend, as a Christian, and as our accounting and business consulting partner..."
"Brent and his staff have provided excellent services in a timely manner for many years. The Firm is one of knowledge, experience, and integrity." "I have retained the services of Brent and his team for many years. I have found them to be honest, reliable, on top of current law change, and communicate well with me. They have always..."
"John and Brent were extremely helpful throughout the start-up and growth phases of the business. They provided timely, clear and useful advice regarding appropriate accounting and tax issues. 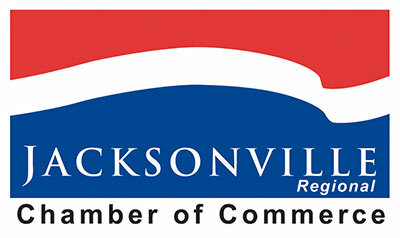 They took the initiative to..."
"Brent Ross and his associates have one of the top CPA firms in Jacksonville. They take the time to understand your business so you can maximize your business. Moreover they bring..."
"We had a complicated return of 2 states and 3 jobs and he made the process a breeze. Brent and his staff worked together to help make sure we were ready by our target date..."
"Brent is a professional at heart that truly tries to understand the issues you face. He then tries to understand how he can help you, not only from an accounting/tax benefit, but how to..."
"Brent has provided outstanding accounting services for me personally and for some small corporations. His ability to track the details from year to year is amazing..."
"Brent and his firm have always been accessible, dependable, timely and creative when needed. His insight regarding a company's operations goes beyond crunching numbers..."
"Brent Ross is a powerful business coach. His coaching skill and financial expertise are the perfect combination for any business owner..."
"Over many years, Brent's firm has represented several of my clients (Disclosure-I am Brent's brother and a practicing attorney), and those clients and myself have found the personnel in Brent's firm to be very knowledgeable..."
"I have know Brent for a while now. He does more than just your taxes. He is a true advisor that help business owners unlock more profit in their operations..."
"Brent and his team don’t just "crunch numbers”. He provides a variety of services to help their clients improve their businesses. Brent’s cost segregation studies can generate an immediate increase..."
"It is without a single reservation that I recommend Brent Ross. I have worked with Brent and the Harrison Assessments organization for a while now ..."